Breakfasts in the morning can be hectic. Sometimes it's a quick piece of peanut butter toast and it's out the door! However, when I do have a solid 15 minutes to put something together this is my savory, healthy go to. Starting your day off with some protein and something green is one of the best things you can do to ensure you have energy until lunch. 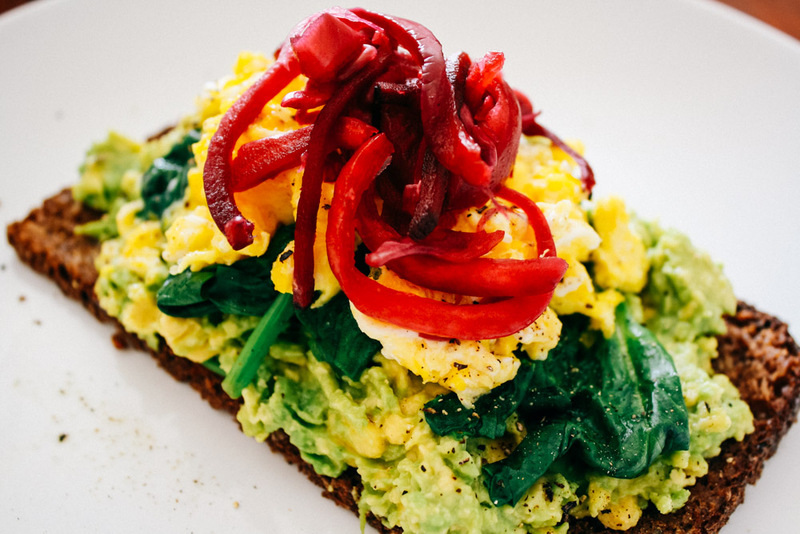 This quick breakfast contains- protein to stay full, spinach to give you energy, avocado for healthy fats, and pickled cabbage that has great digestive benefits. BOOM! And don't feel you can't prepare this diddy for dinner or lunch. If I am in a pinch at any time during the day, this is my quick meal of choice. Generally because I have all the simple ingredients in my fridge. 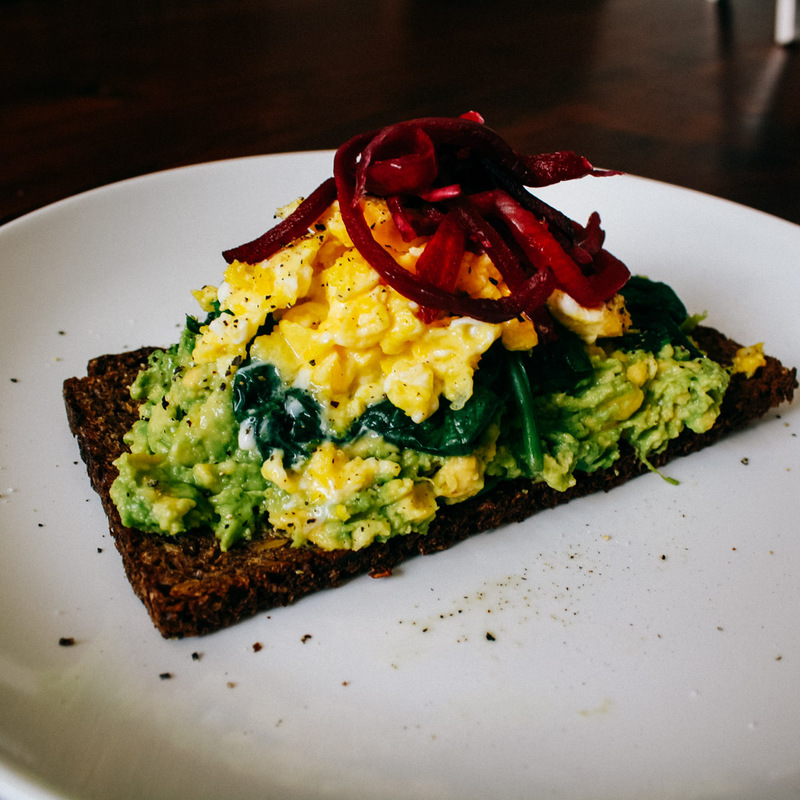 Once eggs are scrambled, stack avocado, spinach, eggs, pickled cabbage on toast. Sprinkle with salt and pepper.